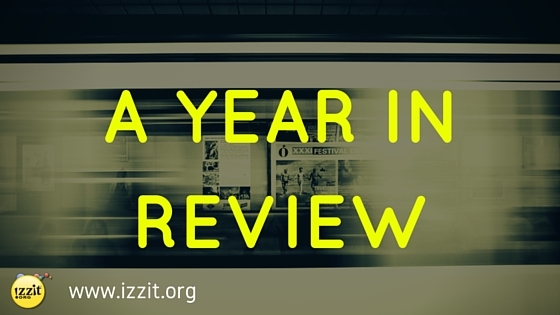 We've been really busy at izzit.org headquarters, and we're not slowing down! We've released 8 new programs for the 2015-2016 school year, created a new streaming page with most of our programs, unveiled a new download feature so viewers can download most of our programs directly to their devices without ad interruption. We enhanced our blogging page so you can see our daily Current Events, izzit.org News, and Teaching Zone blogs in one easy spot. 1. Pups of Liberty: The Dog-claration of Independence. All creatures are created equal…After the Boston Tea-Bone Party, the Pups of Liberty continue to assert themselves against Catland. But the Royal TomCat refuses their requests for representation in the government and issues orders that make life miserable in the 13 Ameri-canine colonies. We also released a brand new Pups of Liberty activity book! Visit our website to purchase yours now for only $6.95! 2. Recalculating - Can technology help them prove it's their land? In the national forests of Gujarat, India, the tribal people have been seen as encroachers, thieves who dare to produce food for their families on land claimed by the government. Rama Bhai and his family have worked land in the Sagai village for generations. 3. 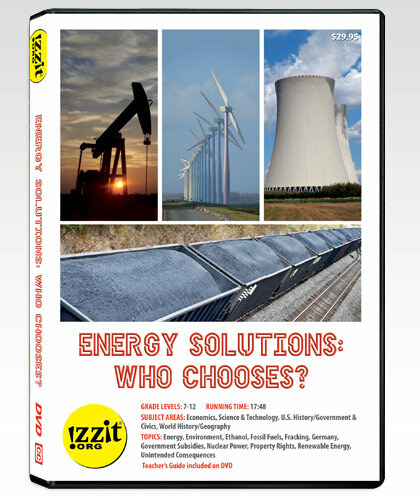 Energy Solutions: Who Chooses? - "The whole town's gotta go…" Meet the little village of Atterwasch, Germany and the folks who live there. Atterwasch is slated for demolition – the whole town, including the church originally built in the 1200s. It's a casualty of Germany's Energiewende, the most ambitious transformation of a country's energy sector ever attempted. 4. 4 Ways to Spend Money: The Musical - Only 4 ways to spend money? Olivia’s fallen in love...with economics! She’s fascinated by Milton Friedman’s premise that there are only 4 ways to spend money. In this glee-ful high school musical, she shares the specifics about how people spend money differently, depending on whose money they’re spending, and who they’re spending it on. 5. Where Did My Money Go? - Taxes, taxes everywhere! Paycheck sticker shock. Anyone who’s ever received a first paycheck remembers that feeling. 7. 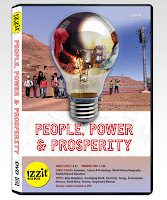 People, Power & Prosperity - Developing nations turn on the power! Electricity is so much a part of our daily routine in the developed world that it’s hard to imagine life without it. It’s much more than just lights and television, or the internet...electricity plays a factor in health and well-being. 8. No Longer OutCastes - Breaking the grip of discrimination! Madhusudana Rao wasn’t going to let the circumstances of his birth limit him. We launched our 12 Days of Christmas Giveaway Spectacular (You guys loved that one! 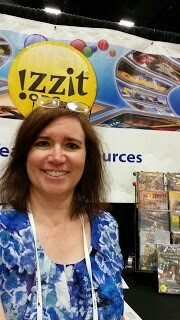 ), attended more teacher conferences and gave away Roku streaming sticks! Oh yeah, we also published our educational channel on Roku...what else?? Our new Discount Membership was released. 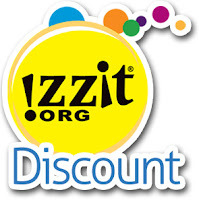 This new membership option allows members to receive a 50% discount off regular webstore prices for most izzit.org products. 12 month membership (from date of purchase). Click here to purchase this now for only $9.95. Director of Educational Curriculum Susan Gable, was invited to speak at TEDxErie this past year. Watch the video here. She was also interviewed by a number of radio stations, as well as a national segment on Bloomberg News. Most recently, Susan was interviewed on Los Angeles’ #1 talk radio, KNX, about teaching kids about taxes. NBC Newswatch also did a segment on the same subject, using izzit! teaching units. The segment aired on NBC-affiliate stations across the U.S. during tax season. We joined Pinterest! 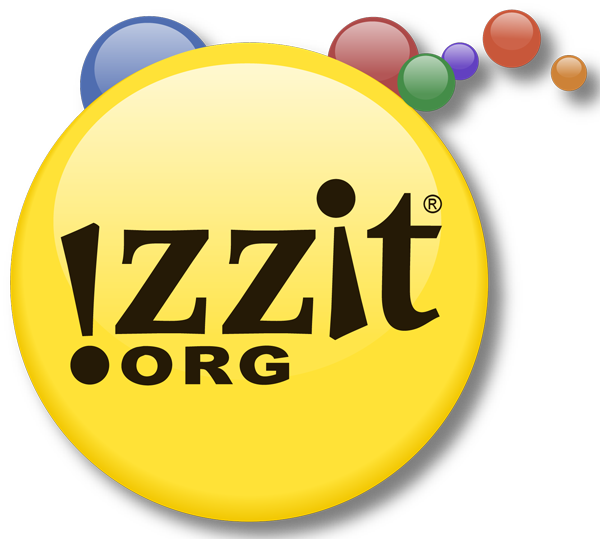 Everyone can locate our full programs, contest information, izzit.org news, teacher quotes, printable classroom worksheets and SO much more! Follow all of our boards and make sure to pin your favorites. 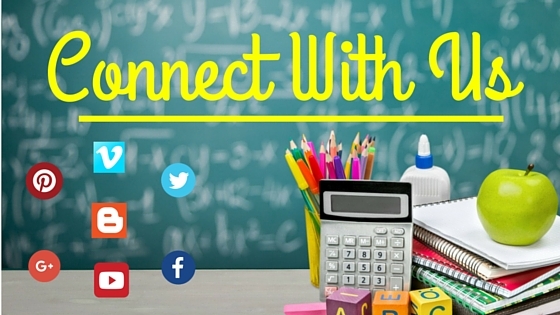 We want to launch more social media contests and giveaways but we need your participation. Following our Facebook, Twitter, Google+, Pinterest, YouTube, and Vimeo channels allows you to stay up to date with everything izzit.org, but you get the insider scoop! We like to ask our fans what program titles they like best, what infographics they use in their classrooms, what crafts and activities you are using with your students but most of all, we want to know WHAT YOU LIKE and WHAT YOU NEED! 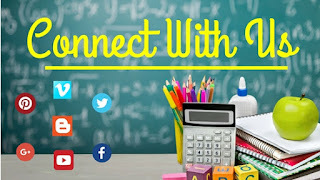 Our main purpose is to give educators access to classroom videos and materials, but learning isn't just in the classroom - we want your students and kids to use our student zone, online quizzes, kid zone, and interact with us just as much as teachers do! So now is the time - join us, follow us, talk with us...let us know what you like reading by commenting on our social media and blog posts. Tell us what contest and giveaways you liked best and what crazy ideas you would like to see us try in the next few months. Even when students leave for the summer, teachers, parents, and izzit.org does not stop working! What are your plans for the next school year? What are you looking to do over the summer break? How can we keep you entertained and informed throughout the entire year - not just the school year! Teachers are a big part of our team. 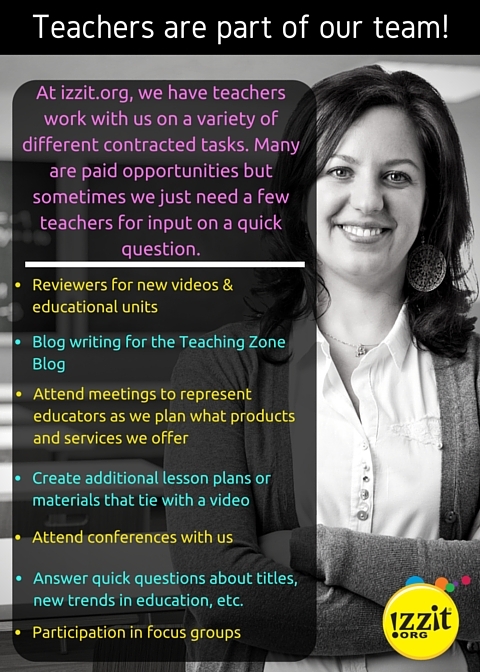 Not only do we need them to write some of our teaching zone blogs, but we also need teachers to join us on the road when we go to education conferences, or even provide us with feedback on new programs, titles, or materials. Together, we can make an impact on the next generation. 24-Hour Earth Day Giveaway - Here's the Code! Earth Day Giveaway Coming This Friday!